The most expensive one bedroom that was ever sold was in Beverly Park and it went for $21.5 million. It was sold by Josh Altman – one of the most successful real estate agents and investors in the United States. He has become popular for his appearance in the Million Dollar Listing TV show which takes a look at the lives of some of the best real estates magnets in America. He has an all-around presence in the real estate world including estate finance and flipping homes. It was on March 10, 1979, that Josh Altman was born in Newton, Massachusetts. He was brought up alongside his brother, Matt Altman by their parents – Alan and Judith Altman. Raised in Newton and Massachusetts in a Jewish family, he has a father who is very active and well known in the Aspen Jewish community. Josh went to Newton South High School and after his graduation in 1997, he proceeded to Syracuse University where, to the surprise of many who would think he studied anything that had to do with real estate, he got a degree in Speech Communications. While growing up, he loved playing football and when he went to the university, he played as one of the kickers of the school team which went on to win the Big East Championship two years consecutively, playing in the Orange Bowl and Fiesta Bowl. As soon as he was done with his college studies, he decided to take the path of real estate. Starting out as an investor and flipper, he soon flipped to running his real estate finance company. After controlling it for more than a couple of years, he formed The Altman Brothers with his brother, Matt Altman. Before long, the brothers were able to establish themselves as one of the biggest forces in the market with a very strong presence in Beverly Hills and Hollywood Hills. The clients he has worked with are mostly athletes, entertainers, and other individuals of high net worth. With that said, he has made sales that are now walking towards $2 billion. In the fourth season of the reality television show Million Dollar Listing: Los Angeles, Josh Altman made his first appearance in 2011, co-starring with Josh Flagg and Madison Hildebrand. From then on, he has continued to appear in the show. He has also made appearances in other shows such as Keeping Up with the Kardashians and Giuliana and Bill as a real estate agent. Apart from all these, Josh also gives speeches in Universities while he is also a writer. His book, It’s Your Move: My Million Dollar Method for Taking Risks with Confidence and Succeeding at Work and Life was published in 2015. Altman came from a very simple family with just his brother and parents, Judith and Alan Altman. In 2016, Altman got married to Heather Bilyeu who is also a real estate agent. The two first met in 2010 and by 2013 they were engaged. In 2014, they were set to get married, until Heather called off the wedding following some issues the two were having, leaving josh distraught. As obviously as the story went, they finally mended their fences and the couple became man and wife in 2016 at an exclusive ski resort in Colorado. The union has been blessed with a daughter, Alexis Kerry Altman who was born in 2017. The family now lives in the Hollywood Hills. 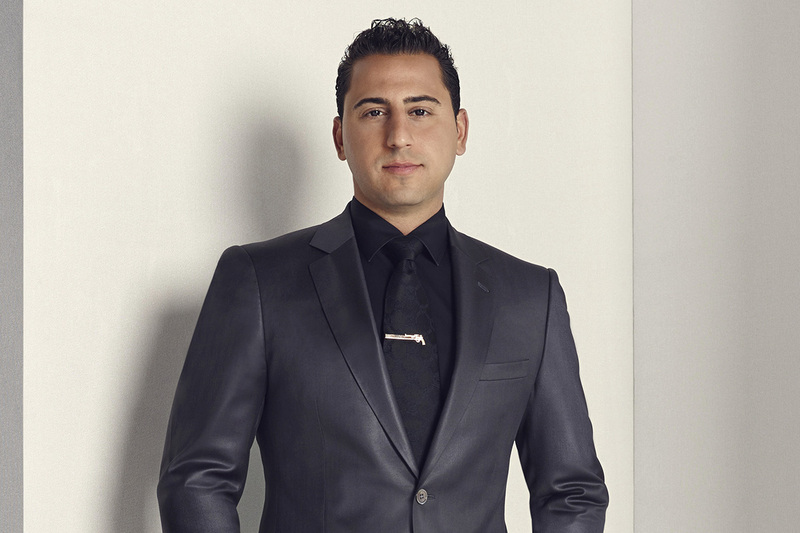 As earlier stated, Josh Altman has already made sales heading towards $2 billion all through his career. From all the sales, there are some individual properties that have fetched him profit as high as a million dollars. The Million Dollar Listing star who became a millionaire at the age of 26 has a net worth that is estimated at over $10 million. He accumulated his fortune mostly from his work in the real estate. While he has been making money, he has been sued alongside his brother and the company he worked for, Hilton & Hyland, in 2017, for $3.7M for what was alleged to be ‘steering a client in the wrong direction’ in 2012. Not necessarily the tallest man you will get to see, Josh Altman still has a good height. He stands 5 feet 9 inches (1.80 m) tall. He has a weight of 79 kg.